The best horror show on television returns with a season that feels flush with heightened ambition, visual artistry, dramatic energy, and - of course - fresh blood. The grand, ghastly Guignol that is Showtime’s Penny Dreadful ended its thrilling second season by entering a new act, one that found its myriad characters scattered to the winds without any clear adversary or obstacle to reunite them. Malcolm (Timothy Dalton) had departed to Africa, both to bury his slain friend Sembene and to find new purpose. Ethan (Josh Hartnett) was in chains, being extradited to America to stand trial for horrific crimes committed by his lupine alter ego. The Creature (Rory Kinnear) had struck out for the Arctic, in self-imposed exile. And despite remaining in London, Victor Frankenstein (Harry Treadaway) was so devastated by losing Lily (Billie Piper) to the flirtations of Dorian Gray (Reeve Carney) that he’d turned to the needle. “So we walk alone,” Ethan’s parting words to Vanessa last year, are still ringing in everyone’s ears – especially, it seems, creator John Logan’s. 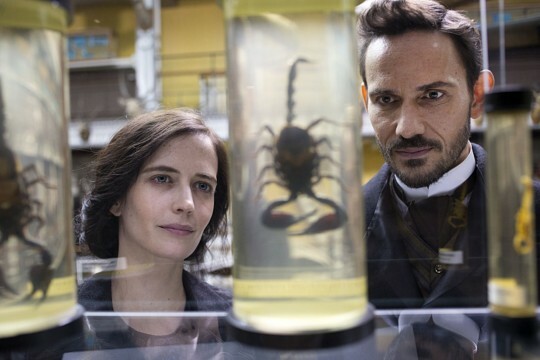 Penny Dreadful has always functioned as a sideshow, with performers like Dorian, Victor, and the Creature all carrying their own distinct storylines and only occasionally intersecting with the rest of the characters. This year doubles down on that, dividing its ensemble to multiply the number of narrative threads on display and (hopefully) amplify the intrigue. That’s a risky gamble, one that’s proven fatal to a great many series, but anyone who’s been following Penny Dreadful from the start has reason to feel confident in its ability to pull off a multi-faceted, geographically diverse third year. After all, the show’s menagerie of characters is largely pilfered from a diverse assortment of Gothic novels – they’re all demonstrably capable of standing at the centers of their own respective narratives, and Logan’s wonderfully nuanced sketching of the series’ main players has ensured they’re all complex and compelling enough to warrant such treatment. The first two episodes back play to Penny‘s strengths even as they charge bravely ahead into this more fractured, far-flung chapter in the series’ mythos – that is to say, they emphasize the eye-catching, from the startlingly picturesque, sun-scorched wilderness of the New Mexico territory to the shadow-choked and gorgeous streets of Victorian London, while affording the show’s best characters as much time in the spotlight as possible. That means a continued focus on Vanessa, whose descent into depression is interrupted by a visit from the fawning Sir Lyle (Simon Russell Beale). With all his typical grandiloquence, Lyle encourages her to go see a psychologist, who turns out to bear a striking resemblance to the Cut-Wife (both characters are played by the sensational Patti LuPone). Green and LuPone had some of the best chemistry of any pair on this show in their episode together last season, and that they tap into it again immediately comes as no small relief. When she’s not getting her head shrunk, Vanessa is meeting cute with a zoological museum curator and finding herself relieved by some fresh company. The absolute hell she endured last season at the hands of Evelyn (Helen McCrory) and her coven meant audiences got to see Vanessa at her most agonized and terrified, so it’s massively entertaining to watch Green play with a version of the character whose back is less against the wall, and who may even be realizing (with LuPone’s assistance) that she has a path, however treacherous, to genuine happiness somewhere down the line. Of course, this is Penny Dreadful, so that glimmer of hope may well turn out to be short-lived. There’s an old enemy lurking in London’s back-alleys with designs on Vanessa – spoiling their identity here seems a tad unnecessary, but suffice to say that the villain’s skin-crawling introduction at the end of the first hour (surrounded by an eerie army of slithering, vampiric urchins) is probably the finest and most frightening introduction that the show has ever pulled off. And traces of the age-old evil bent on corrupting and capturing Vanessa continue to permeate the background, like a slow corrosion at the very edges of a picture frame, present if not prominent. 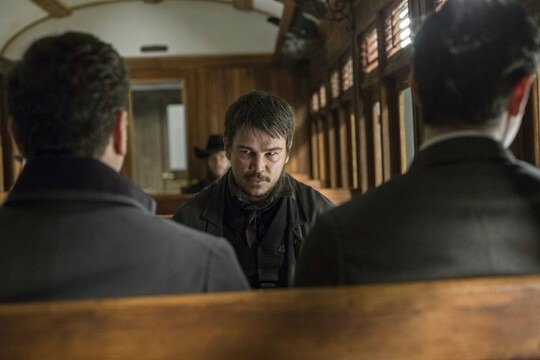 Meanwhile, Ethan’s storyline is supplying most of the requisite carnage – as he’s being transported across New Mexico via a chugging locomotive, a group of mysterious bandits mounts a bloody, brutal jailbreak, gunning down almost everyone else on board with a sudden, merciless violence that feels jarring even by this show’s standards. Inspector Rusk (Douglas Hodge) is grabbing tea in the beverage car and so is spared to doggedly pursue Ethan another day. Despite his impressive bloodletting last season, Ethan seems resigned to let others dictate his destiny – when bullets start flying in the train car, he barely flinches, and it doesn’t take much to figure out why. At this point, he’s condemned himself more than any lawman could. Over in Africa, Malcolm is mourning Sembene, a character he knew a lot better than any of us viewers ever really got to (he’s the one character Penny never really seemed to know what to do with, and his death made that abundantly clear), when he meets a scalp-collecting Apache (Wes Studi) who wants to pull Malcolm over to Africa for a rescue mission – saving Ethan from his own clan. Why the character is so loyal to Ethan is another narrative juggling ball that should be intriguing to watch over the course of the season. Finally, Victor – despondent over being left out to dry by Lily – is continuing a downward spiral but pulling an old friend into his struggle. That would be Dr. Jekyll (Shazad Latif, making an excellent first impression), who despite harboring resentment at Victor’s cold shoulder over the years vows to help his friend to both kick his nasty heroin habit and get Lily back. Their plot is surely doomed, especially because Jekyll’s fixation on the dual nature of all men seems prophetic, but Latif and Treadaway make for a loopy, theatrical odd couple. So much goes on in the first two episodes of season 3 that it’s mildly exhausting to watch (this season makes it clear that the series is Showtime’s answer to Game of Thrones in terms of both ambition and execution), but one gets the sense that Penny Dreadful is playing a long game that will end up being more wildly satisfying and entertaining than these individual episodes are on their own terms. Visually, the series remains at the peak of its powers, delivering some museum-worthy tableaus that still feel wonderfully lived-in and natural while doing more with chiaroscuro lighting than any other show on television. The writing is as poetic and elegiac as ever – Lyle’s monologue in the premiere is nothing short of brilliant – and all of the performers, new and old, are in fine form, especially Green (Penny Dreadful‘s dramatic brain) and Treadaway (its ever-flowing tear-ducts). Logan has set a laudable challenge for himself in this season by separating his characters far and wide – but by staying true to the dark heart of his sanguinary, sensational creation, the creator’s vision feels just as assured and absorbing as you’d hope.